The days before winter break are hetic and stressful. Ease your stress and encourage positive behavior where students follow the expectations and rules. 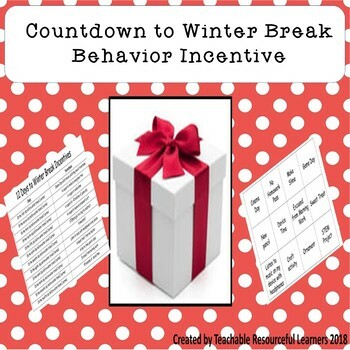 This product was created to use in classroom to maintain positive and compliance of classroom rules and expectations the 12 school days before winter break. 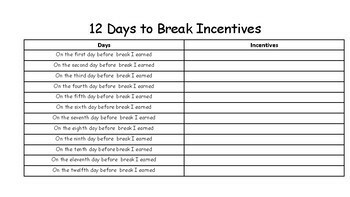 Low Prep for teachers: Copy student grid sheet, copy awards on colored paper, hand out to students, award students end of day or last two days before break. This product can also be used for other countdown to Spring Break, Thanksgiving, or End of the Year. 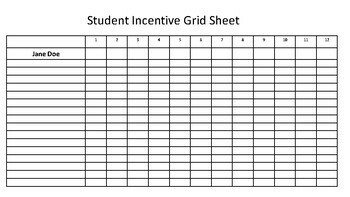 Generic grids and incentives included. Examples on cover. 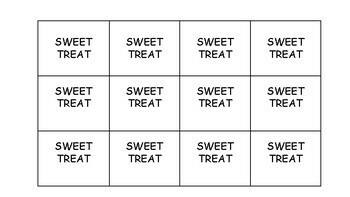 Works best for second graders up to high schoolers.